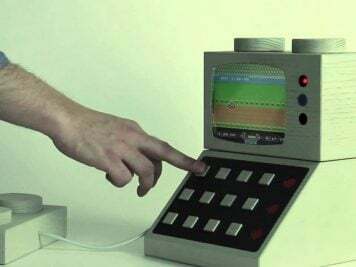 This Little Girl’s Horizon Zero Dawn Could Save the Day « Adafruit Industries – Makers, hackers, artists, designers and engineers! 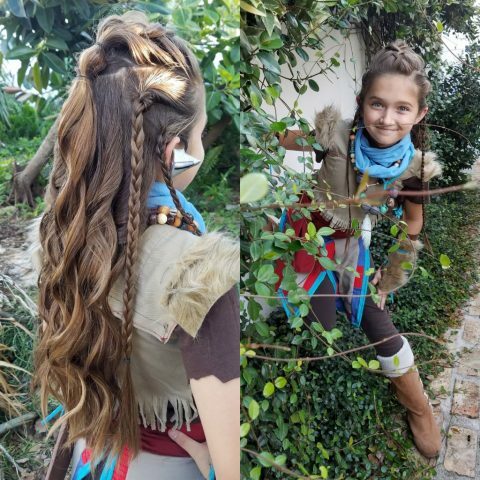 Redditor MashedPotatoh’s daughter wanted to be Aloy from Horizon Zero Dawn for Halloween, so he rose to the challenge and designed the costume and the hair for her. She looks incredibly fierce as the character. And one of the best parts? The costume came together easily. MashedPotatoh says they spent about 10 hours crafting the costume from scraps. For example, when he needed light tan material, he found some slacks in the closet he could sacrifice and cut them up. It was his first time using a sewing machine, but the figured it out. The light tan is some old slacks. Dark brown is an old comforter cover, blue is a dress shirt, red is table placemats and the light blue was a table runner. We had to buy the fur at Wal-Mart for $6 after deciding it was necessary. I also had to buy new thread and Velcro pieces. I’m very happy with how it turned out.